At Holiday Inn Express Doncaster we are looking for exceptional people to provide outstanding service to our guests and who put our people at the heart of everything we do. The position of Night Guest services assistant has become available at the Holiday Inn Express Doncaster. Reporting into the Deputy Manager, you will be responsible for general customer service to our guests, management of our food and beverage outlet and managing the reservations system. The successful applicant for this role will deliver excellent customer service, have a positive ‘can do’ attitude, be willing to learn and show that they care. Holiday Inn Express® Doncaster hotel is three miles from the town centre. There are direct trains to Sheffield, Leeds, York and Manchester from Doncaster station, a short drive away. The nearby M18 andA1(M) motorways provide easy access to the whole region. There's free on-site parking, and the nearest bus stop is outside the hotel. You can host your clients in the hotel's two naturally lit, air-conditioned meeting rooms, which have free WiFi and space for up to 40 guests. If you're in for a long day, you can order catered lunches, from sandwiches and chips to a full, hot buffet. The Lakeside business park, home to many important local companies, is five minutes' drive away. Holiday Inn Express Doncaster is managed by Redefine|BDL Hotels; an independent hotel management company, working in partnership with six of the most prestigious hotel brands including IHG, Hilton, Starwood, Accor, Marriot and Wyndham. At Redefine|BDL we stand out from our peers, transforming hotels to perform exceptionally. 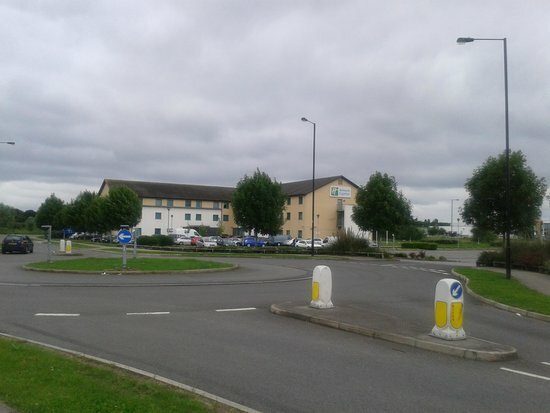 Holiday Inn Express Doncaster is close to junction 3 of the M18 and 8 miles from Robin Hood Airport with plenty of complimentary parking on site and the hotel's location close to the M18 and A1(M) makes getting to nearby Sheffield, York, Leeds and Manchester a breeze. Holiday Inn Express Doncaster has 2 fully equipped meeting rooms with space for 2-40 delegates, and guests can order buffet lunches direct to the room. Both meeting rooms come with complimentary WIFI. Cheer along with passionate local football fans at a Doncaster Rovers match in nearby Keepmoat Stadium. Guests can go swimming and ice-skating or catch spectacular live concerts at Doncaster Dome, and have a flutter on the horses at Doncaster Racecourse.